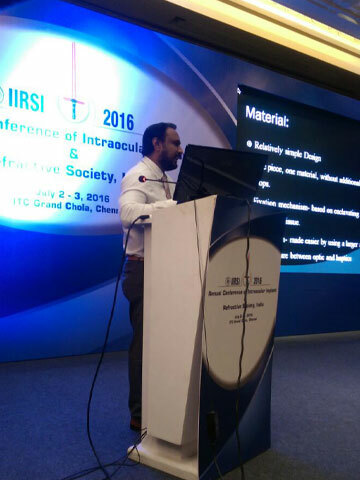 Eye surgery done with world class technology and the most advanced IOL's and lasers. Your eyes speak the truth when everything else is a lie. Every closed eye is not sleeping and , every open eye is not seeing. SIGHT Is what your eyes produce, VISION is what your heart produce, Never let what you see affect your Vision. 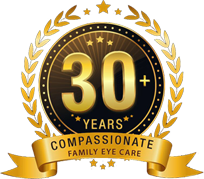 M. N. Eye Hospital was started in the year 1986 in Tondiarpet North Chennai by Dr. Madhivanan Natarajan and Dr. Chalini Madhivanan with a dream of providing quality eye care of international standard to the people of Chennai and around at affordable cost. They are committed to the achievement and maintenance of excellence in Eye care, Research and Education for the benefit of humanity. 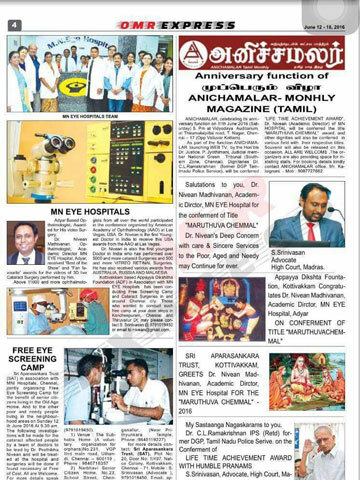 Today M. N. Eye Hospital is strongly rooted that it has increased its capacity to reach out to the unreachable people through its branches located at Kilpauk, Redhills, Adyar and Ambattur. It also extends its eye care services for the chronic Diabetic patients attending at renowned M V Diabetic Center, Royapuram and Ramachandra Diabetic Center, Egmore.